I had an eventful day yesterday. In the morning I met with a couple of friends for coffee and talked about everything from Sunday School curriculum to Youth Ministry salary figures. In the afternoon I wrote out some thoughts on things that have bugged me for a while, followed by a good conversation with my Senior Pastor. And in the evening our church council met for another visioning meeting. We have been meeting monthly for the past few months to read on and discuss the topic of simplicity and process in order to recast our vision and mission as a congregation. 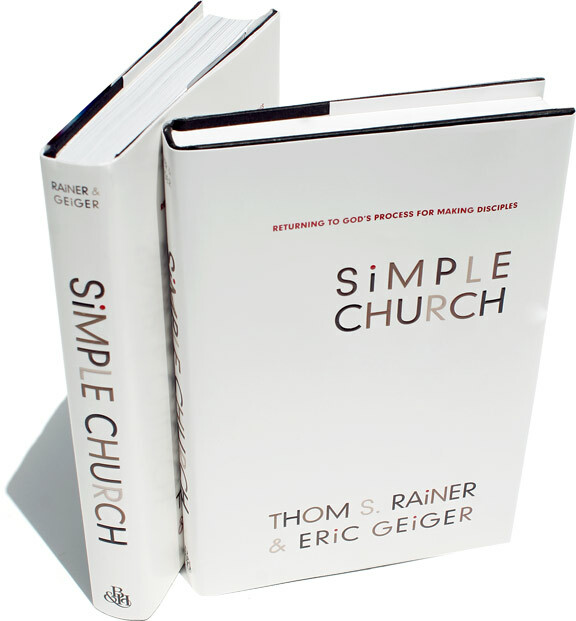 Among other things, we read mostly from the book Simple Church by Thom S. Rainer and Eric Geiger. This has pretty much been the first order of business for our new Pastor who took a listening posture for the first several months of his time with us (pretty smart guy!). In order to function as one body, it's important for any church to simplify, to focus on what's most important and on what they do best in order to excel at few things rather than being mediocre at a whole bunch of things, thus burning out staff and congregation in the process. Along with simplicity and focus comes alignment--getting everyone on the same page, focused on the same process as opposed to working and even competing in silos. Then everyone doing the calendaring and everyone in the congregation understands what's going on and why it's happening without feeling overwhelmed. The elements of the process must be at least somewhat linear in order for it to be something other than a list of ministry components. Each element must be in conversation with the others, even providing a framework for definition. For example if an element of the process is simply "missions" then it provides no real guidance for how to do missions. But if it something like... "loving the world" we're getting somewhere... especially if something in the other elements provides a contextual framework for defining what that means. If "empowering members," for example, is an element of the process, then we know that loving the world must be done from within the framework of empowerment. The elements of the ministry process are actually in conversation with one another. So I've got a few ideas which I plan to propose if the opportunity presents itself and if there isn't another better proposition on the table. The most compelling of which is this "...belong, believe, become." Not only is it simple and easy to remember (which is more important than you might think. How else will a whole congregation be able to internalize it? ), it's also alliterate. It's fluid enough for people to enter it through different doors but linear enough to provide a contextual framework. Belonging is perhaps the "first" element... not to get too linear. We gather as a community, no matter who you are or where you are on your journey, you are welcome to engage in this community, to be welcomed and to taste and see that the Lord is good through the Body of Christ. And from the context of community, we grow together, we believe. We wrestle with questions, we worship, we pray, we seek understanding, we embrace God's version of our stories, we discover God together ("discover" may have been a better word if it started with the letter "b"), everything is "we" because belonging is part of our process. Then we become. We begin to embody the things we've discovered in the Body of Christ. We serve, we invite, we engage our culture as bearers of the image of God, becoming more like God and becoming more the people we were created to be and were saved to be through Christ. Belong, Believe, Become. The essence of such a process is love. Without love, none of these elements are possible.